Berlin — A light fall rain couldn’t dampen the enthusiasm of over 2,700 stackers, more than 50 percent of whom came to the German capital from 63 countries. If you didn’t attend—or if you did and want a replay—Superuser collected the announcements, user stories and Forum discussions you may have missed. Five headline sponsors supported the conference in Berlin, the most ever. Attendance is up from the last two Summits. The edge computing hackathon, hosted by Deutsche Telekom on Saturday and Sunday, sold out. There was a tie for first place: one team built multi-cloud functionality for OpenStack Client, and the second team devised a home-built environmental control and management system that is automated using IoT devices. Ceph held a dedicated day on the Monday before the Summit where the community announced the launch of Ceph Foundation, under the umbrella of the Linux Foundation. The Summit featured an incredible lineup of new OpenStack users speaking, plus lots of sessions about new OpenStack Foundation (OSF) pilot projects and adjacent community collaborations. 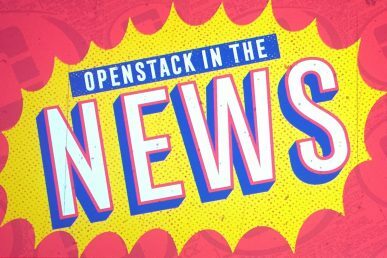 New OpenStack users speaking at the Summit included Leboncoin, Metronom, Oerlikon Manmade Fibers, SBAB Bank, UK Science & Technology and Volkswagen Financial Services. Growing OpenStack users: Workday talked about scaling from 50,000 to 300,000 cores. BMW discussed their Zuul use case in addition to Openstack, and eBay Classifieds Group shared how they updated their OpenStack cloud for Spectre and Meltdown. OpenStack is one of the top three open-source projects in the world. The other two are Linux and Chromium (the upstream of Chrome browser). There were 70,000 commits to OpenStack in the last year, clocking an average of 182 changes per day in the Rocky release. The OpenStack 2018 User Survey Report went live Tuesday morning at the Summit, highlighting a growth in OpenStack Ironic bare metal clouds fueled by Kubernetes adoption. A recent report from CCW Research and approved by the Chinese Ministry of Industry and Information Technology named the top 20 private cloud providers in China. Four out of the five top providers are OpenStack-based companies and 14 of the top 20 providers are based on OpenStack. More details here. The Airship team announced delivery of their release candidate on the road to 1.0 early next year. Airship is currently being used in production by AT&T and SK Telecom, and AT&T presented a 5G demo on the keynote stage Wednesday, featuring the lifecycle management technology. 99cloud, Ericsson and several other organizations are also getting involved. 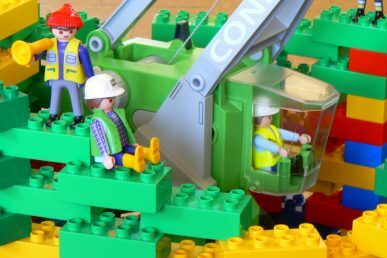 The Kata Containers community is working on their 1.4 release, expected to arrive shortly. Recently the community hosted a meetup in China designed for large cloud providers—including Alibaba, Baidu and Tencent—to share their adoption plans and provide feedback on the software roadmap. StarlingX recently celebrated their first release on October 24 with 84 contributors from 99cloud, China UnionPay, Fujitsu, Intel, NEC, SUSE and Wind River, among others. They also recently established their technical steering committee and provided an update during the Joint Leadership meeting on Monday. Zuul users BMW and Leboncoin both presented case studies at the Berlin Summit. Nodepool driver for Kubernetes is in review, and support for Azure, GCP, Gitlab and Pagure are in the works. Read more here. The community voted to name the upcoming OpenStack release Train. The second release for 2019 is estimated arrive in August. Some community goals up for discussion for the T release include dropping Python 2 support; improving cloud reliability by testing, reporting and enforcing self consistency; health checks for clusters in operation; and API consistency, allowing breaking changes. Etherpad discussion here. A cross-technical leadership session (with technical leaders from OpenStack, Kata Containers, StarlingX, Airship, and Zuul) was held to to compare the initial governance structures for the pilot projects and cover pain points. Etherpad discussion here. Nine community members were recognized by the Community Contributor Awards with quirky categories like the Bonsai Caretaker Award. The OpenStack community and Superuser editorial advisors weighed in on the finalists and chose City Network at the OpenStack Berlin Summit Superuser Awards, sponsored by Zenko. You can find all of the Etherpads from the Forum here. Adobe Advertising Cloud shared its upgrade journey and described how, by leveraging Canary Releases techniques, the team managed to do complete infrastructure upgrades and migrate workloads between two OpenStack environments with no impact for stakeholders and users. China UnionPay, shared the results of a joint-collaboration project with China Fudan University that aims to develop a converged virtualized and containerized architecture for financial big data applications. eBay Classifieds Group shared how they handled Spectre and Meltdown. The group has a private cloud distributed in two geographical regions with about 1,000 hypervisors and an 80,000-core capacity. Once the vulnerabilities came to light, they needed to patch hypervisors on four availability zones for each region with the latest kernel, KVM version and BIOS updates. Leboncoin is a French classifieds company. They shared how OpenStack tools—especially CI—have helped them fuel the growth that has made them the fifth most clicked website in the country. Metronom, the IT supplier for Metro AG, a wholesaler operating in 25 countries, related its experience with OpenStack and how open source influences its internal culture. NASA Goddard’s NASA Center for Climate Simulation described the challenges and the innovative solutions devised on the journey to provide an on-premises private cloud including: telemetry/billing, data protection/DR, security, “cloudifying” workloads, containers and guiding HPC users through the paradigm shift to cloud computing. Oath led a hands-on workshop around upgrading an OpenStack environment, sharing their experiences with fast forward database migration across multiple versions and components of OpenStack at massive scale. Oerlikon ManMade Fibers shared how half the yarn production in the world is powered by its OpenStack-based systems. OpenStack’s open infrastructure is the foundation of Oerlikon Group’s solution architecture, allowing Oerlikon to utilize machine learning and AR/VR to realize its vision to create the world’s leading smart factory. More from the keynote. OVH CTO Alain Fiocco described from the keynote stage what makes this large infrastructure provider different, how OpenStack and open infrastructure help OVH innovate, and what the daily life of a large scale operator looks like. The Pawsey Supercomputing Centre supports University and industry researchers. Aside from HPC facilities, they also have a cloud service called Nimbus deployed with Openstack Pike. They shared issues and caveats of their deployment via Puppet and MAAS and compared bare metal performance and show the capabilities of RDMA GPU to GPU on different physical nodes on VMs. SBAB Bank, Sweden’s fifth largest bank, shared how OpenStack enables digital speed and flexibility using City Cloud for Bank & Finance, powered by a managed private cloud. The UK’s Science and Technology Facilities Council, which provides around 4,000 vCPU cores and supports thousands of scientists, related its OpenStack upgrade story about upgrading from Mitaka to Queens. Verizon participated in multiple sessions, sharing valuable edge computing insights from their experience running applications and hardware at the edge. Volkswagen came to the keynote stage to talk about their OpenStack private cloud, “Our users can get what they need from cloud really fast, and we’re proud of that,” says Volkswagen head of server operation Tilman Schulz. VW will use OpenStack to support its new online and mobile services. They have two clouds running with Newton release, one cloud with Mitaka release, managing in-place upgrades, moving from OVS to Juniper Networks Contrail, and using Ceph for storage. Catch his chat with OSF’s Lauren Sell during Tuesday’s keynote here. Volkswagen Financial Services is a wholly owned subsidiary of Volkswagen AG that operates and coordinates the financial services activities of the Volkswagen Group throughout the world. Stefan Kroll, product owner for OpenStack and the lead for the MultiCloud Computing project, participated in an industry panel on data protection that included Trilio Data, Red Hat and CSI Piemonte. 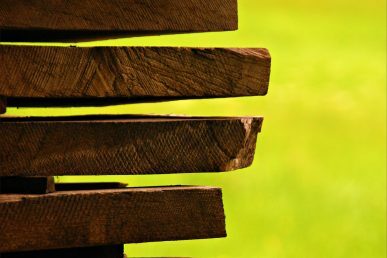 Workday’s OpenStack cloud has grown from a 600-server fleet in 2016 to 4,600 servers by the end of 2018. Workday shared operational and scaling challenges of growing from 50,000 to 300,000 and their plans to keep improving operational excellence. Component Soft to surpass 2,000 Openstack and Kubernetes course participants by the end of 2018. The leading OpenStack Training Partner and Kubernetes Training Partner in Europe reach this milestone in its OpenStack and Kubernetes trainings, two hot complementary technologies in the open cloud marketplace. While roughly two thirds of this number has come from its Openstack courses since 2014, Kubernetes has grown quickly since 2017. Customers are typically telco and IT giants such as Ericsson, Deutsche Telekom Group and BAE Systems as well as local IT firms and start-ups from whole Europe. These courses prepare participants for the relevant COA and CKA exams as well. Objectif Libre released a new automation tool for OpenStack Cloud based on Ansible called Build & Lifecycle Manager. This tool, based on Ansible, aims to simplify the deployment and upgrades of OpenStack clouds – community version. Customizable for each customer environment, the tool is born from the expertise of the company’s consultants and is maintained with OpenStack releases. Hence, customers can benefit from updates and functional upgrades from the company’s OpenStack experts. OVH public cloud arrives in the U.S. The OVHcloud Public Cloud is now available in the company’s East Coast data center with the West Coast data center expected to go live in January 2019. The public cloud offers block, archive, and object storage powered by OpenStack Swift and Ceph. OVH currently runs 28 data centers, 360,00 servers, 1.4 million customers, 260 instances in production, 150 petabytes of storage with Swift. ScaleUp and HKN present de:stack – the IaaS cloud for the German SME Market. Together ScaleUp and HKN have built the new IaaS cloud platform de:stack based on OpenStack. The goal is to offer customers a secure, GDPR-compliant alternative to the cloud offerings of AWS, Google and others. All data center locations of de:stack are located in Germany and ISO-27001 certified. Berlin and Hamburg are already available online with Duesseldorf launching in December 2018. Another de:stack location, Frankfurt, is planned for 2019. SoftIron joins founding board of the Ceph Foundation. Alongside other industry heavyweights such as Red Hat, China Mobile and Canonical, SoftIron will play a pivotal role in the leadership and direction of the future development of Ceph, the leading open-source data storage platform that supports scalable object-, block- and file- level storage. Storage Made Easy brought its accelerated data transfer File Fabric solution at the OpenStack Summit in Berlin. Storage Made Easy™ (SME) announced they are presenting their Enterprise File Fabric solution at the OpenStack Summit in Berlin. As digital transformation petabyte-scale object storage becomes commonplace, enabling performance, reliability and scalability. With increased storage usage, new challenges are faced: Companies are creating large amounts of new digital data which needs to be moved at high speed between users and the object storage, and between object storage and other storage tiers. Wind River and CENGN help open source devs accelerate StarlingX adoption for edge. Wind River & CENGN are working together to to create a public repository to host StarlingX resources as a reference for the open source community. As a source- code only project without any .iso or binary image available, interested developers have been challenged to quickly get on board and meaningfully experiment with StarlingX. With this new public repository, visitors will soon be able to download an ISO image and gain access to the upstream components. Currently, developers can access CENGN’s mirror site for StarlingX, as well as check for updates about the repository, at http://mirror.starlingx.cengn.ca/mirror/. Yahoo! JAPAN/Actapio selects Quobyte as storage foundation for their private cloud infrastructure. Quobyte® Inc., a leading developer of modern storage system software, announced today that Actapio, Inc., a U.S. subsidiary of Yahoo Japan Corporation, selected Quobyte to provide the storage platform for its data centers. Quobyte’s Data Center File System provides Yahoo! JAPAN/Actapio with a massively scalable and fault-tolerant storage infrastructure that meets the needs of the internet giant as it increases its focus on application development and operation. Yahoo! JAPAN presented a session on their deployment of OpenStack with Quobyte. ZTE: build a 5G-ready cloud infrastructure to accelerate the large-scale launch of ZTE unveiled the 5G-Ready 4MIX Distributed Cloud solution based on a three-layer distributed deployment architecture. It leverages multiple advanced technologies including: high-performance resource pool adopting a variety of hardware acceleration technologies (e.g. FPGA-based SmartNIC) with a unified portal, to flexibly adapt to upper layer applications; OpenStack + Kubernetes dual-core-driven cloud platform, to achieve the unified management and on-demand scheduling of virtual machines (VM) and container resources; combined O&M mode based on remote control, AI and other technologies, achieving unmanned operation at the network edge, and constructing the end-to-end closed-loop automated O&M in the whole network, to maximally release manpower. That’s a strong finish for the Berlin Summit, but we’re already thinking about our next run. We’re taking the Open Infrastructure Summit to Denver! Videos for Berlin Summit sessions will be uploaded shortly on the OpenStack website. 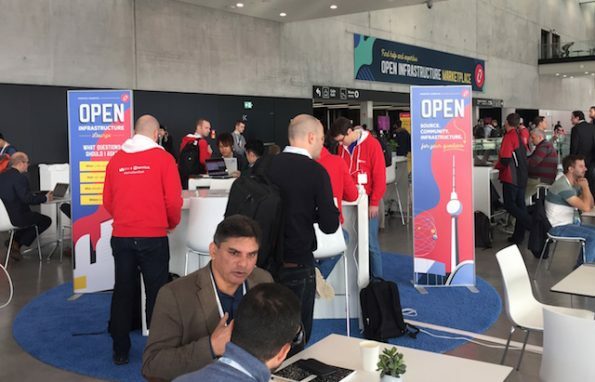 Here’s the first edition of the bi-weekly newsletter on open infrastructure newsletter with highlights from the Berlin Summit and project updates. From new users to product launches, updates and demos, the OpenStack Summit Sydney was a race to the finish line. Here’s a news roundup from the Summit.